The automatic opening - detaching system is based on two buttons: the top button enables opening of the case, the lower button detaches it from the plate. 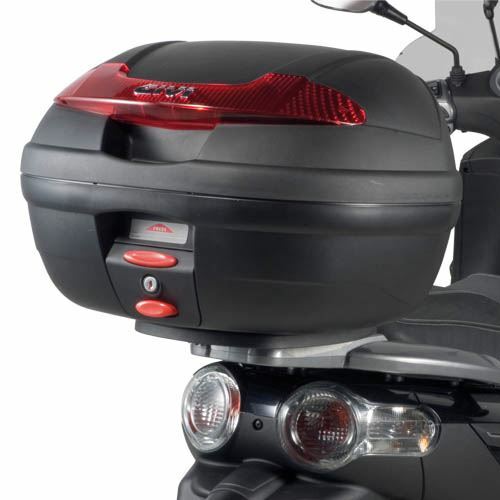 In order to offer a wider range of applications and uses, GIVI has introduced Monolock. Following the same philosophy that defines the Monokey fitting system; this second solution is mostly made for lighter vehicles, such as scooters and maxi scooters. Even with limitation of maximum load, this system of fitting combines performances comparable to those of the Monokey system with components boasting lighter and far smaller dimensional restrictions. As well as of Monokey, the opening of the case top shell and the detachment of the case from the plate are operated with one key only. 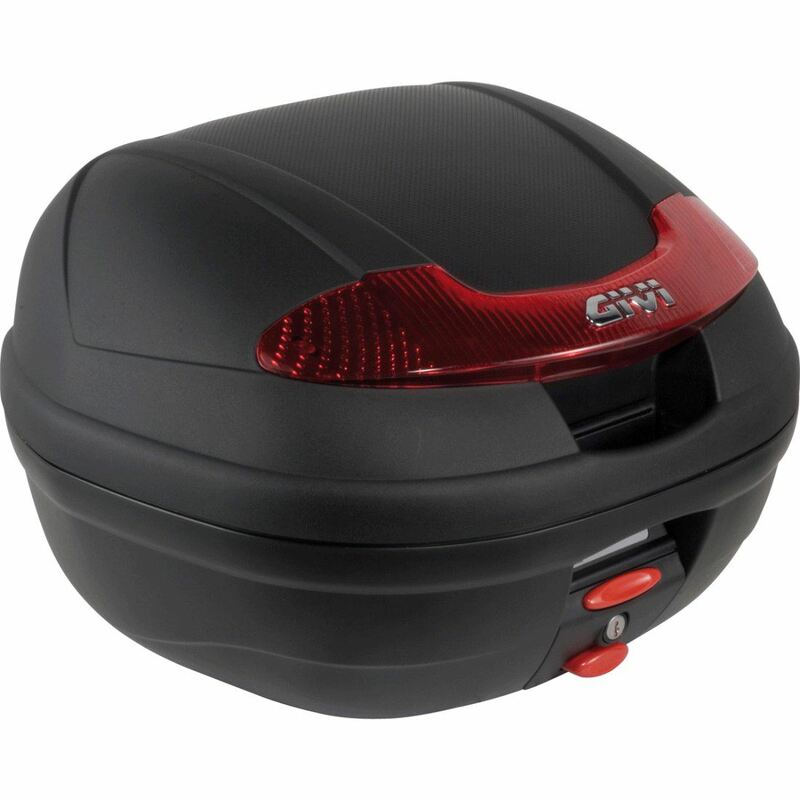 CMD are one of the largest UK suppliers of GIVI products, however like many UK stockists, the majority of our stock comes from the supplier at time of order. 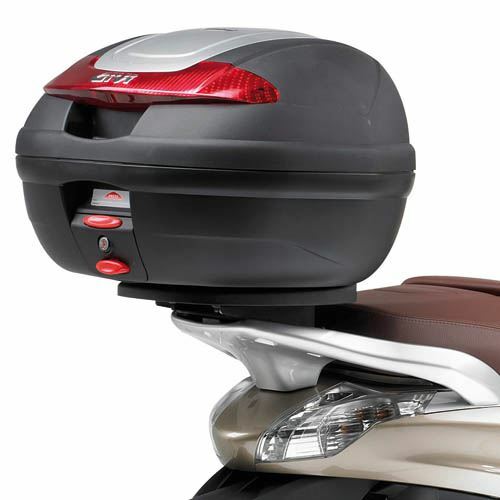 When ordering GIVI please expect at least 5-7 days for your order to be processed and dispatched. For more information please call one of our specialists on 01253 547527.